On March 19, a group of state senators left 54,000 uninsured Nebraskans without a path to health care coverage when they filibustered LB 887 – the Wellness In Nebraska Act that would have helped Nebraskans with low incomes get affordable health insurance. These 54,000 fall into the coverage gap and have no other avenues for coverage. The vote to end debate was 27-21, with 33 votes necessary to end debate. This marks the second straight year a bill to help tens of thousands of our friends and neighbors get health coverage has been filibustered. But while this is a discouraging outcome, we know the fight is not over! On March 26, several of the co-sponsors of LB 887 joined advocates at the State Capitol for a press conference where they pledged to continue fighting for uninsured Nebraskans. We urge you to thank the senators who voted in support of LB 887 and keep adding your voice to this crucial conversation! Appleseed vows to continue fighting for policies that help every Nebraskan access quality, affordable health care because we are a stronger and better state when Nebraska is healthy. Health Care Advocates Vow to Keep Fighting from Nebraska Appleseed on Vimeo. We’re pleased to be able to tell you several of Appleseed’s priority bills have advanced during the 2014 Nebraska Legislature session. LB 853 (Sen. McGill) – This bill to ensure a smoother implementation of the new Bridge To Independence program by adopting stakeholder recommendations was passed on Final Reading by a vote of 42-0 on March 27. It now goes to Governor Heineman’s desk for signature. The Bridge To Independence was the program created by last year’s LB 216, which created a system of services and supports for young people who age out of Nebraska’s foster care system. LB 560 (Sen. Mello) – A bill to prevent wage theft in Nebraska and ensure that a day’s work equals a day’s pay. This bill supports hard-working Nebraskans by targeting those few dishonest employers who fail to pay the wages promised when the work is done and requires employers to provide a pay stub so employees understand how much they are being paid for how many hours work. This bill was passed on Final Reading on March 27 and presented to the Governor. LR 399 (Sen. Wightman) – This bipartisan resolution urges the federal government to pass common-sense immigration laws for our families, economy, and future. It is expected to come up for floor debate next week. 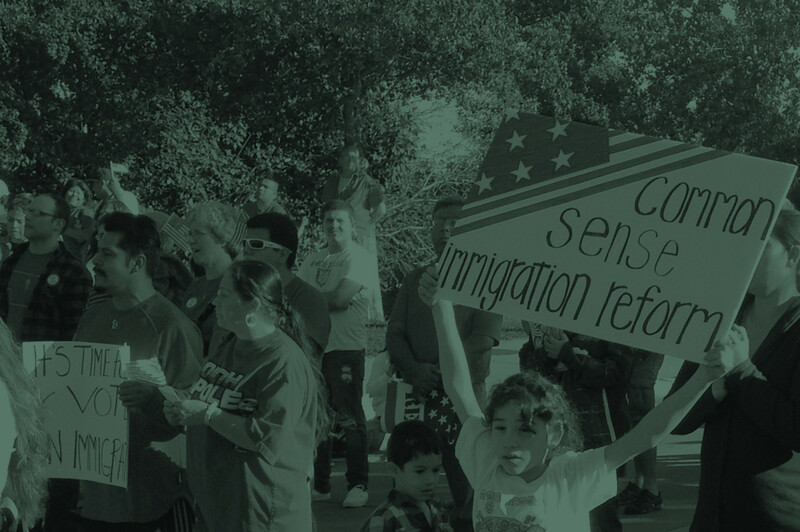 Please contact your senator and urge them to support LR 399 because updated immigration laws that include a clear process for citizenship will keep families together, provide stability for businesses, and make our communities stronger. On March 25, former Nebraska meatpacking workers and Appleseed joined other civil rights groups to testify before the Inter-American Commission on Human Rights (IACHR), describing how U.S. government policies have failed to protect meat and poultry workers by allowing dangerously fast work speeds that cause crippling injuries. IACHR hearing on meatpacking and poultry plant human rights violations from Nebraska Appleseed on Vimeo. The hearing comes as the USDA prepares to finalize a new regulation, known as the Poultry Rule, that would further increase poultry slaughter line speeds from the current maximum of 140 birds per minute to 175 birds per minute. This would make an already dangerous work environment even more hazardous. At the hearing, two Nebraskans who used to work in meatpacking plants testified on the crippling, chronic injuries they suffered as a result of working at the plants. Juan Martinez testified to the IACHR on the four surgeries and crippling injuries he suffered working for years in Nebraska meatpacking plants. That’s Larry Tarkington, an Omaha man currently without health insurance. Larry was one of the concertgoers who came to a unique concert event on March 20 designed to raise awareness about new health insurance options under the Affordable Care Act before the national March 31 enrollment deadline. Amanda Caillau, 28, told the crowd her own story about finding insurance for less than $20 per month through the Marketplace, which is allowing her to afford to go back to college to become a teacher. State senator Jeremy Nordquist also encouraged concertgoers to explore their insurance options, which may be more affordable than they thought. “It’s an easy system to enroll now. There’s a lot of help,” Sen. Nordquist said. Rock Enroll was organized by Enroll Nebraska, Hear Nebraska, and the Nebraska AIDS Project. Lincoln High School students told the stories of their memories and journeys to Lincoln from Myanmar and Thailand, as well as the stories of their dreams for the future through quilting when the new exhibit “Quilt of Dreams and Memories” opened Sunday at the Sheldon Museum of Art. As the quilt was unveiled, students described their rural homes in Myanmar or the refugee camps where their families lived in Thailand. The Karen American students shared their plans to become teachers, doctors and nurses as well as the hope for peace in their countries in the colorful quilt that brought together traditional Karen weaving and American story quilting. In her own words, Paw Spai Moo, a Lincoln High student, described the small confinement of the refugee camp she lived in for fourteen years contrasted with the freedoms she experiences here: “When I was one year old my parents moved to the refugee camp. I lived for long time, about 14 years. We have a difficult time. We can’t go in the outside. We just have to live in the little same area.” Now, Paw Spai dreams of a future with equal rights and peace for all people. You can view the Quilt of Dreams and Memories and along with other immigrant student art at the Nebraska Mosaic Art Show at the Lux Center for the Arts, April 1-30, 2014.